Judging by the mood of the audience, the latter composed of an eclectic mix of young queers, local literati, and a scattered handful of elderly folks packed into a second-floor space in the Atwater Library with nary an empty chair in sight, nobody regrets showing up. The Atwater Poetry Project has featured a smattering of queer writers since its inception in 2010, such as Zoe Whittall and Gwen Benaway, but tonight’s feature undoubtedly stands out. 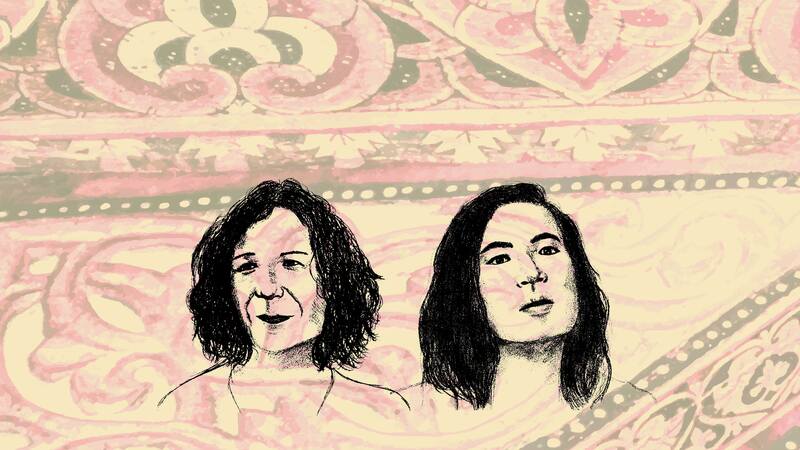 Self-described “writer, spoken word artist, therapist, and wicked witch” Kai Cheng Thom was joined by the inimitable Trish Salah in presenting selections of poetry, new and old. Together, Thom and Salah explore mythology, identity, violence, and trans experiences through their work. My familiarity with Thom’s work and my familiarity with Montreal are very closely tied — I first saw her perform in my first year at McGill, at Gender Blender, a monthly queer performance event. I was struck by her dynamic and emotive stage presence, along with her capacity to sidestep all the clichés of spoken word poetry. This capacity for performance has certainly not dulled over the past two and a half years. As Thom herself tells us during a question-and-answer session following the reading, she “writes for both the page and the stage.” Her language is complemented and punctuated by affected tones of voice (from evocative sung stanzas to raw almost-screams) and a full-body commitment to the words she speaks. Thom’s work is characterized by fluctuations between sincerity and snark, between novelty and tradition. Reading from her latest collection of poetry, a place called No Homeland, she offers a scathing indictment of “white Montreal hipster queers” (admittedly a sizeable portion of the audience) with their “tattoos of odd things like cats and vegetables.” This same piece ends with a billet-doux, a love letter, to a white trans femme lover, somehow quelling (or perhaps harmonizing with?) the frustrations produced by exclusion. Here, the whiteness of the queer community does not (and cannot) exist independently from the author’s experiences of tenderness and intimacy. The two realities are inextricable, and ultimately inform one another. Nevertheless, Salah reminds us that Tiresias was “a boy before he was a man, a man before he was a woman.” By selectively adopting components of an existing myth, Salah refashions it into an undeniably queer narrative. The notion that we lack a coherent queer and/or trans history is certainly not unique. This is not the outcome of community disinterest or disengagement — rather, this absence of queer ancestry is produced by the absence of historical sources which we would otherwise rely on to produce our stories. Documentation of our predecessors is often found in medical, legal, and legislative texts, which are more often than not skewed by homophobic and transphobic prejudices. Furthermore, queer people lack access to direct intergenerational transmission of information, a central component to the preservation of history in communities tied by ‘blood’ and biological family. Salah offers the queer reader and listener a type of appropriation — a solution to our absence from history. This coveted ancestry is created by writing the queer and trans subject into a pre-recorded past. Some of this ancestry is particularly fraught, such as Salah’s queer rendering of American suffragette and eugenicist Charlotte Perkins Gilman. Salah pauses to mention that these queer re-imaginings of history inevitably implicate race and nationhood. These realities complicate the production of queer ancestry. Where and how do we find traces of queer experience in stories that are often oppressive and violent? How do we address this violence? Documentation of our [queer and trans] predecessors is often found in medical, legal, and legislative texts, which are more often than not skewed by homophobic and transphobic prejudices. Salah’s work also calls to mind ancestors of ours who are written into in history, and those who are not memorialized on their own terms. An account of Daniel Paul Schreber — a German judge who propounded that God was turning him into a woman and was subsequently diagnosed with psychosis and institutionalized — reminds us that “Lili Elbe would be saved by her doctor/Herr Doktor,” but Schreber and many of our queer ancestors were not so lucky. Unlike Elbe, who was immortalized in film as one of the first recipients of genital reconstruction surgery in The Danish Girl, Schreber’s queer experience was preserved in the writings of Freud, who linked his supposed psychosis to repressed homosexual desire. Salah offers the queer reader and listener […] a solution to our absence from history. Salah’s work ultimately reminds us that our queer and trans histories are neither static nor concrete. It offers readers and listeners the agency to construct our own lineages and mythologies, ultimately functioning as a remedy to the grim realities of queer loneliness and futility.